The original St. Paul Church of Edgewood, was dedicated on October 27, 1907, and was a fairer looking rendition of what is now “Monsignor Canning Hall”, currently the utility building for parish affairs. Around the time of dedication a census recorded 770 people in the parish. 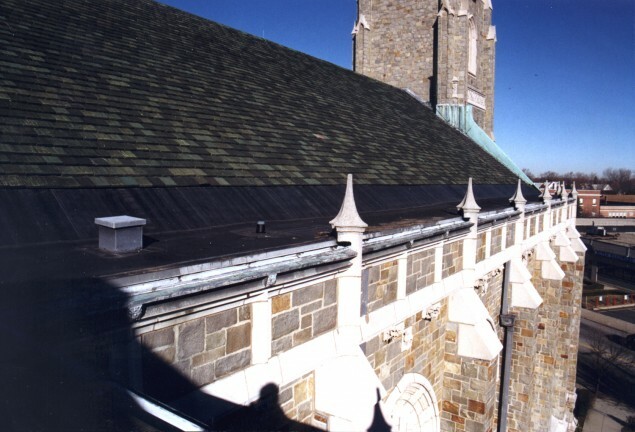 Almost twenty-one years later, on October 21, 1928, the cornerstone for the new Church was laid under supervision of architecture firm Ambrose Murphy; Samuel Morino, a convert from Judaism, its principle architect. The new church was dedicated on November 16, 1930. The modified Gothic church suffered from a deterioration of the interior. As with most water penetration cases, the water entered through the perimeter shell. LLB was hired to perform a Restoration Survey. Based upon site observations, probing, and discussions among members of the survey team, reports and estimate information was generated to form the basis for this exterior shell building survey. 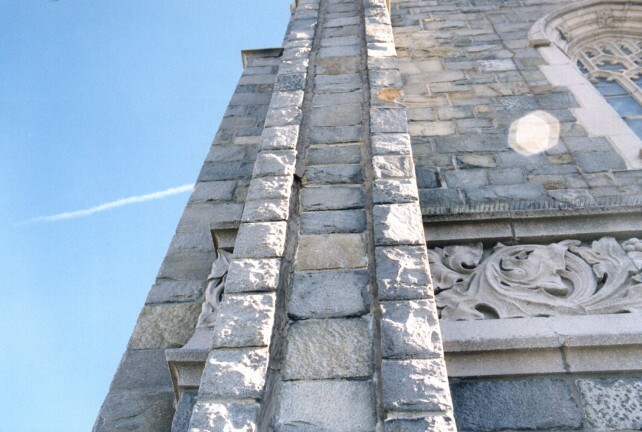 As the survey progressed, exterior concerns such as the discovery of temporary cable-trussed tower buttress capstones and mortar dislodging from buttresses and falling on entry walks, reinforced the urgent need for exterior shell analysis and repairs. LLB guided these repairs, and St. Paul Church of Edgewood once again stands out as a community icon.